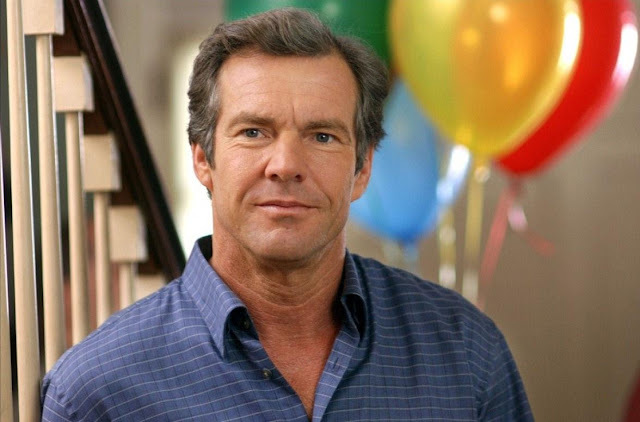 This fall Dennis Quaid will make his Crackle debut in the one-hour scripted drama The Art of More. The movie star got his start in films like The Right Stuff and The Big Easy and most recently has been seen in movies like Footloose and What to Expect When You're Expecting. Here are five things you may not know about the actor. Although many think of Dennis as the more successful Quaid, especially with Randy's recent run ins with the law, Dennis was actually following in his older brother's footsteps when he began acting. Randy started acting when he was a kid and by the time Dennis joined him in Los Angeles to try his hand in Hollywood, Randy was already an Oscar nominee for The Last Detail. Everyone knows Quaid was once married to America's Sweetheart Meg Ryan for ten years in the '90s. But Ryan was Quaid's second wife. While filming one of his earliest movies, Our Winning Season in 1979, Quaid met actress P.J. Soles, of Stripes and Rock 'n' Roll High School fame. They were married for four years. He has also been tied romantically to Andie MacDowell, Shanna Moakler and Lea Thompson. Quaid is best known for his film roles but he has done a couple of TV movies including Dinner with Friends in 2002 and his Emmy and Golden Globe-nominated turn as President Bill Clinton in HBO's The Special Relationship. And in the fall on 2012 Quaid made his leading man TV debut in the period piece Vegas, which told the tale of Ralph Lamb the sin city sheriff from the '60s. Quaid has played several musicians on-screen during his career but he is also one in real life. He has been playing with his band The Sharks in hot L.A. clubs, at celebrity fundraisers and even at local charity events around the country. Some lucky concert goers even get to see him performs Jerry Lee Lewis' Great Balls of Fire which he performed in the 1989 biopic of the singer. One of Quaid's best roles in the last five years has been as Ellen DeGeneres' pranking buddy on her daytime talk show. They play tricks on many people from tow truck drivers to unsuspecting Starbucks baristas. Quaid wears an ear bug and says whatever Ellen tells him to, which typically involves talking about himself in the third person and announcing himself as he walks in "Dennis Quaid is here!" and "Dennis Quaid wants a latte!"